I am keen to make the most of my last few months with Jack before he starts full time school in September (trying not to think about it!). 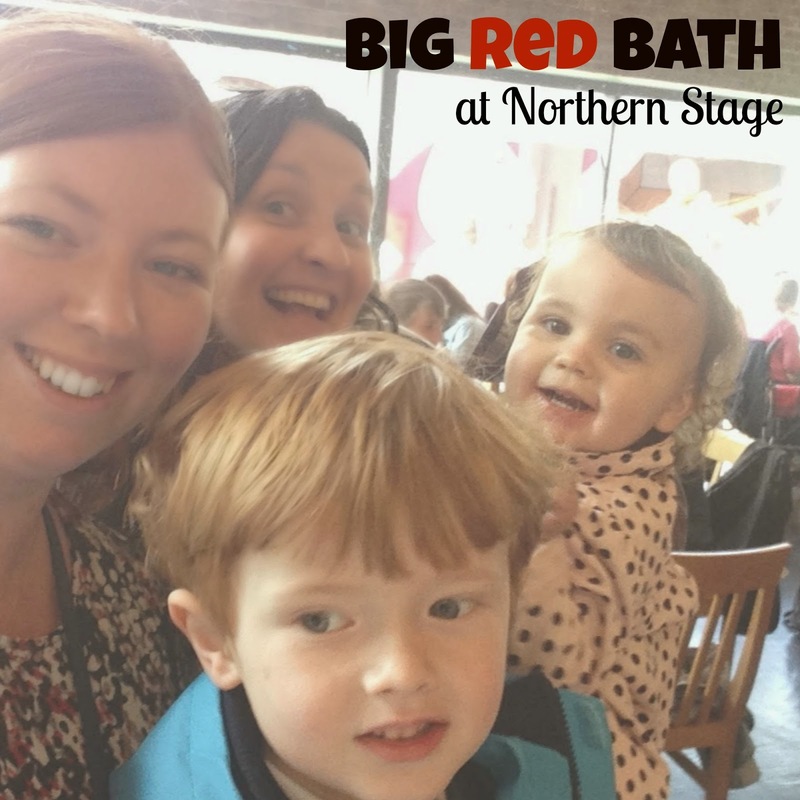 When I heard about Big Red Bath at Northern Stage I promptly reserved us tickets. The 1:30pm performance was perfectly timed for us after morning nursery. 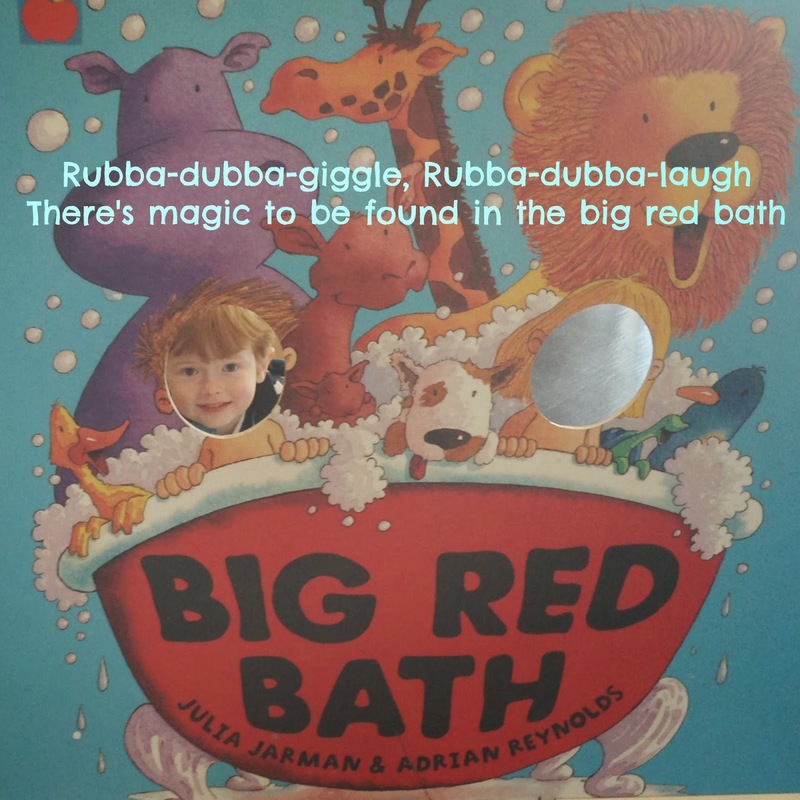 Based on the much-loved book by Julia Jarman and Adrian Reynolds, Big Red Bath is a humorous tale that has been perfectly adapted for stage with under 5's in mind (I imagine children older than 6 may find the show a little babyish). Our pre-schooler and toddler however loved it and the 40 minute show is the perfect length to keep a small person's attention. Grown ups and children alike will instantly fall in love with the various characters that take to the stage. Jack spent a lot of his time dancing in his chair and laughing at the silly expressions and mannerisms of various animals on stage (look out for the lion and the dog - they were our favourites). Expect music, disco dancing, silly antics, exaggerated expressions and simple storytelling that will really capture your child's imagination. The performance is relaxed with toddlers and children clapping along in the audience, pointing at the stage, trying to catch bubbles and I even spotted a bit of baby signing from a few babies in the audience as their favourite animals were recognised on stage. I met up with Karen from Adventures of a MonkeyFooted Mummy and her one year old daughter to watch the show. 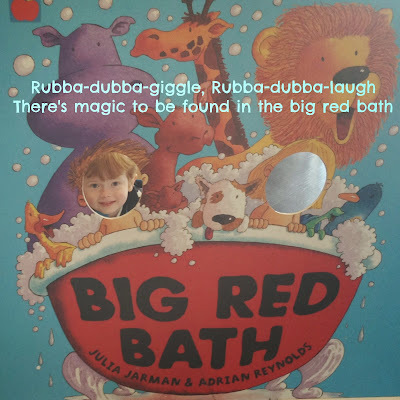 In my experience it is quite difficult to produce a show that will entertain both a one year old and four year old but Big Red Bath managed this perfectly. A collaboration between Full House Theatre and Half Moon, Big Red bath certainly is adventurous theatre for the very young. In the 40 minute show we laughed along with a loveable pooch, disco danced with a duck, went swimming with a turtle, roared with a lion, flew to the moon and back with some pelicans and made friends with a giraffe as Ben and Bella enjoyed their bedtime bath. What an adventure we had! We had tickets for Friday but James was poorly yesterday so we couldn't leave the house! It looked really good! It's such a sad time when your youngest goes to school, I guess that's why so many get empty nest syndrome and quickly have another baby. I love school holidays so much now and always feel sad when my house goes quiet again.